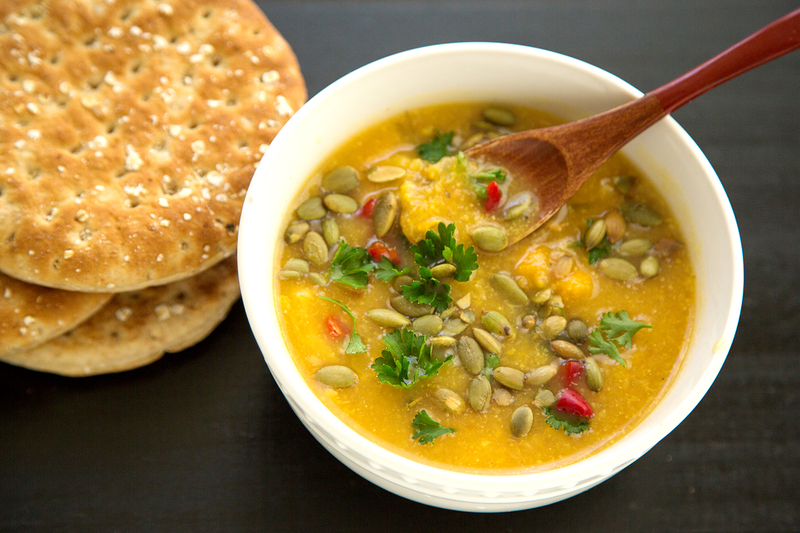 I love Fall because it's the perfect time for soup and squash! Delicata squash is so easy to work with, easy to peel and delicious. 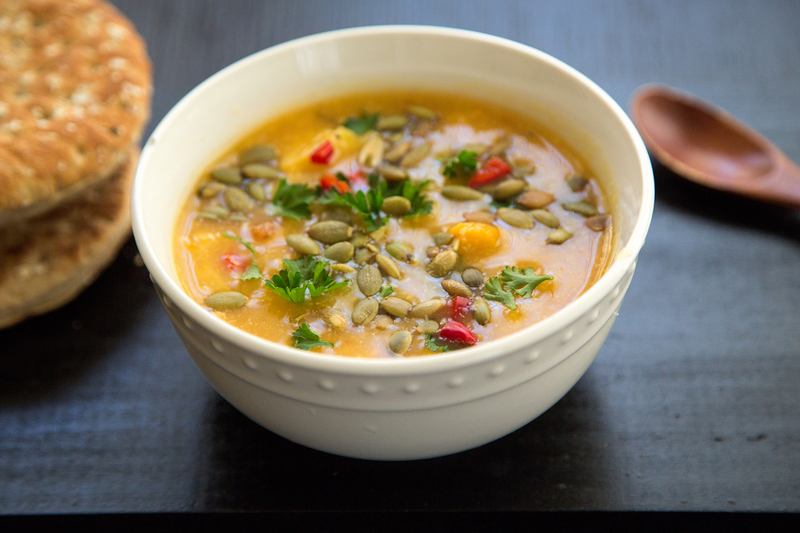 I had roasted two Delicata squash ahead of time and then created this soup. 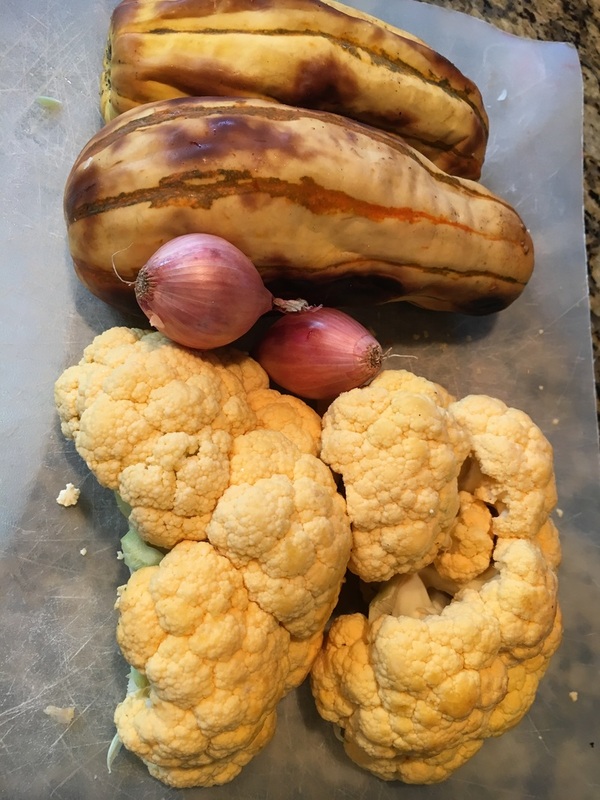 I used a orange cauliflower but a white or green cauliflower would work perfectly. 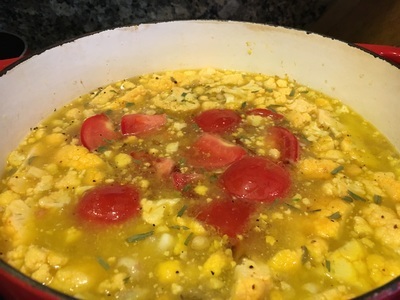 Enjoy this simple and delicious soup. 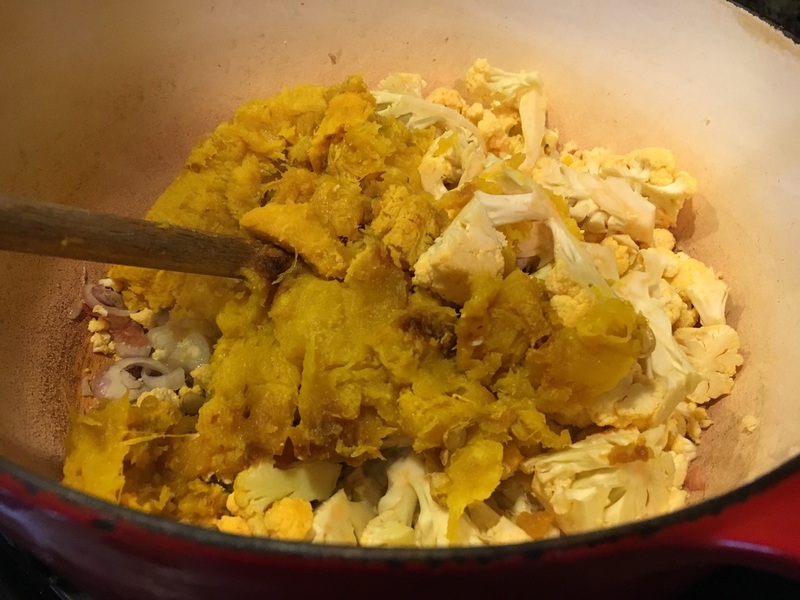 In large soup pot saute shallots for a few minutes and add chopped cauliflower, and squash to pot. Add water, salt and pepper, chopped tomato. Bring to boil and then turn heat down to simmer. Soup is ready when your cauliflower is soft about 20 minutes. Allow to cool for a few minutes and take half of soup to blend using a food processor or blender. Return blended soup back to soup pot and warm soup. Serve warm.